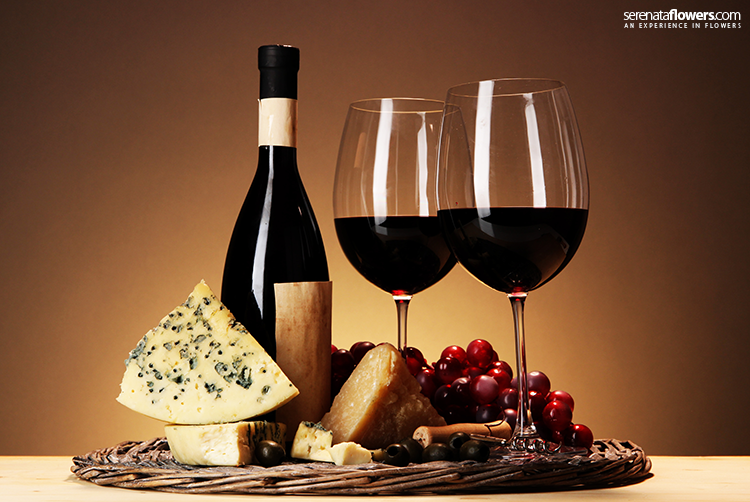 Wine and cheese have gone hand in hand for centuries. However, with the vast number of wines and cheeses available on the market, it can be tricky to pair the right couple together. Everyone likes a nibble of cheese with a sip of wine but few realize how difficult it is to ensure they complement each other perfectly. With cheeses varying in colour, texture, fat and flavour and wines differing in acidity, sweetness, body , and structure; match-making is complicated, to say the least! Here are a few tips to keep in mind when you’re next shopping for a wine and cheese combo. The age of the cheese will often determine its intensity. The aging process of cheese is called “affinage” and is where the water slowly evaporates, leaving behind a harder cheese that has a much more intense flavour. While the age of cheese will dry it out, it also has a large impact on the taste and flavors left behind. Rind cheeses like Brie are soft and gooey but have picked up an “earthy” flavour from the caves they are kept in while older cheeses such as Gruyère and Emmental obtain a more nutty flavour, just as blue cheese acquires pungency from the mould. Just as cheese changes with age, so does wine. Wine flavors range from delicate to bold while their depth and complexity will also be affected by the age. Younger wines are often spirited with lively aromas whereas older ones will be earthier as the flavors will have knitted together over time. Salty and sweet flavors work well together, especially when it comes to wine and cheese. The sweetest of wines will complement the saltiest of cheeses and the high salt found in blue cheese and Gouda will intensify the sweetness of the wines to make a perfect pairing. Rich, creamy cheeses complement an oaky white wine and create the perfect sensation on your palate. However, a stark contrast can also work well – depending on your taste buds. Try combining a sparkling wine or champagne with a rich cheese. This is why champagne and Camembert cheese work so well together. 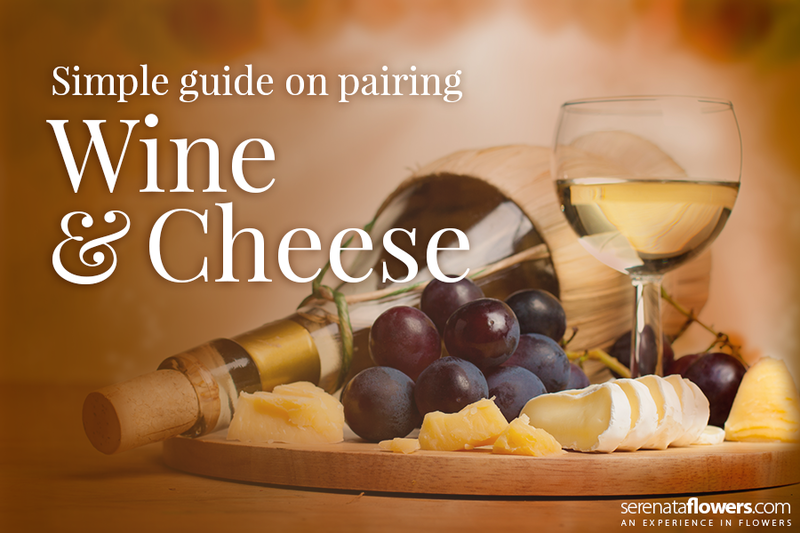 With the above tips in mind, here is your ultimate guide on pairing the perfect wine with the ideal cheese. Both fresh and soft kinds of cheese work really well with crisp white and dry rosé wines as well as with sparkling wines (if you’re in the mood). White wine teamed with apple, berry and tropical fruit tastes can also work perfectly well with this type of cheese but you should avoid tannic red wines as this will overpower the taste of the cheese. These cheeses will have a firmer texture and stronger flavors in comparison to softer cheeses and will, therefore, need a medium bodied wine to accompany them. Fruity reds, full-bodied whites , and a vintage sparkling wine will add the acidity needed to balance out the taste of these cheeses. Smelly cheeses require a light-bodied wine that won’t overpower its strong flavors. The trick here is to complement rather than challenge the taste of the cheese. Blue cheeses require wine that is not only a little sweet but which also has some “oomph”. This is to help balance and complement the saltiness which the cheese brings to the table. Harder aged cheeses work extremely well with full bodied white wines and tannic reds. Their nuttiness will also work incredibly well with sherry and sweet wines so there is plenty of choices. If you’re looking for one perfect wine, guaranteed to complement all/most cheeses then a stunning sparkling wine – dry and sweet – can work really well as their acidity will balance the nuttiness and saltiness of the cheese. Choosing the ideal wine for your cheese doesn’t need to be too difficult. Use this guide to get the balance of flavors and textures just right and you and your guests will have nothing to worry about! This is an excellent wine and cheese guide. I have bookmarked it and will be sharing to customers who are clueless about what wine to choose when they buy our gourmet cheeses.